How do I make this unforgettable? How can I express, in a gesture, how deeply I feel? 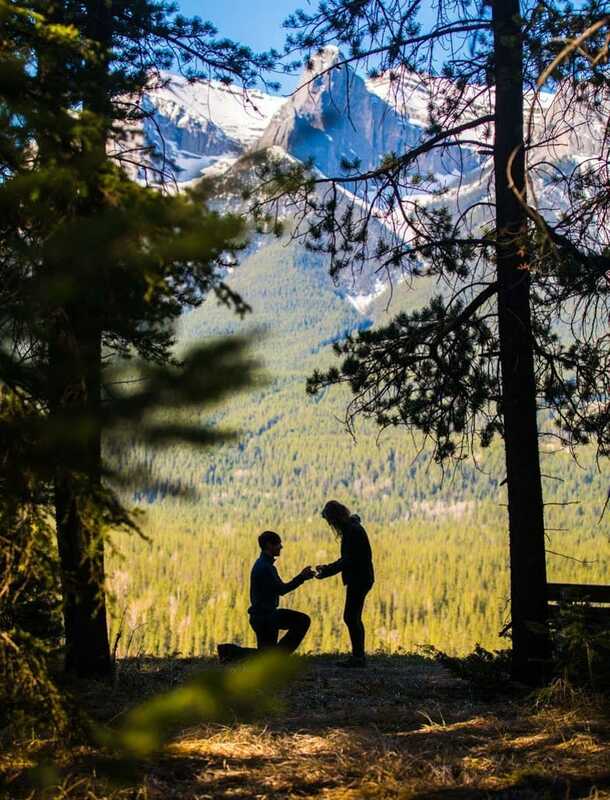 There are as many ways to propose marriage as there are people to propose marriage to, but one thing remains eternally constant—the answer to this straightforward question will change lives. Mike and Trish met in university and continued their relationship for 8 years. They were challenged by distance and the demands of post graduate studies. Mike lived in Connecticut plugging away at his PhD in virology at Yale, while Trish, having already finished her PhD, found work in Maryland. 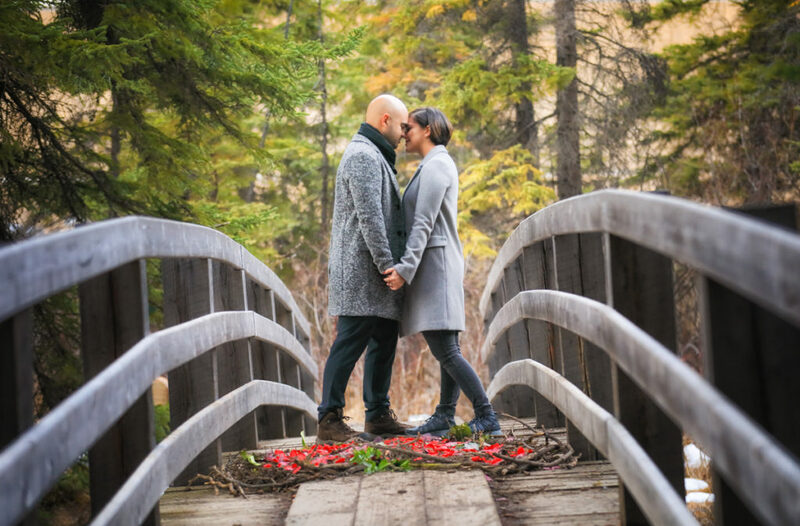 The couple had come to Canmore for a climate change conference that Trish was attending. Mike, his doctorate completed, was resting on his laurels and taking a long earned break. With the future on his mind and the perfect backdrop for a completely romantic experience, Mike decided it was time to pop the question. And as it is said, the rest is history. Here’s to the future of this bright, talented and extremely adorable couple! Interested in how other folks have popped the question? Marvel Pass Heli Proposal Click Here. 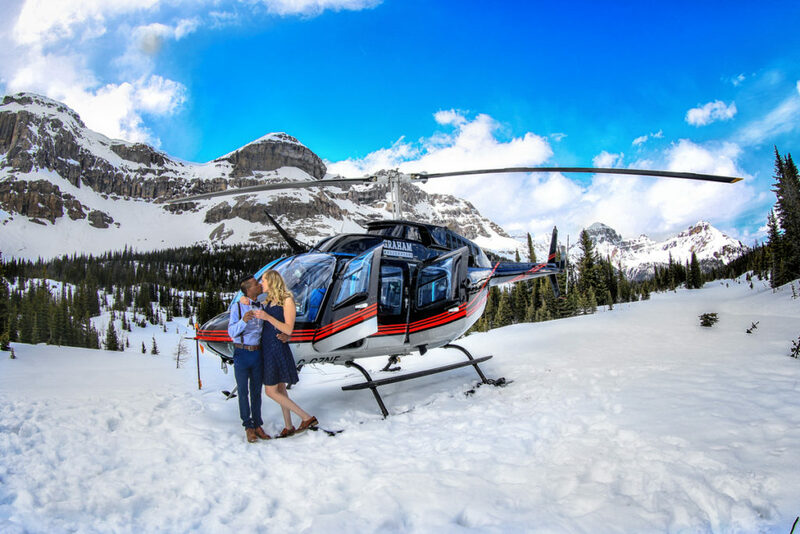 Surprise proposal in Banff National Park Click Here. Give us a shout and we’ll help you create the perfect proposal.